The details of Nkwinti’s role in the Bekendvlei Farm deal were apparently contained in a report following a forensic investigation. 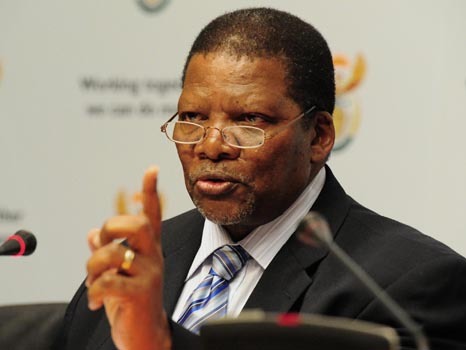 The Democratic Alliance will ask public protector Busisiwe Mkhwebane to investigate Rural Development and Land Reform Minister Gugile Nkwinti for allegedly facilitating a land deal “for his close friends without following required procedures”. “Media reports today [Sunday] detail how Minister Nkwinti acknowledged being accused of allegedly receiving R2 million for brokering a lease deal for the Bekendvlei Farm, bought for R97 million by the department and handed over to long-time Luthuli House employee Errol Velile Present and his partner businessman Moses Boshomane to manage,” DA spokesman Thomas Walters said. “Present and Boshomane had no ancestral claim to the farm, had no business plan, did not appear on the department’s database of possible land beneficiaries, and had no agricultural experience, but minister Nkwinti was a guest speaker at Present’s wedding. The deal was seemingly pushed through and bypassed proper procedure,” he said. The details of Nkwinti’s role in the Bekendvlei Farm deal were apparently contained in a report following a forensic investigation by Deloitte, who were hired to look into how the farm was acquired and recommended that Nkwinti be charged with possible corruption. “This report, in its full and uncensored form, must be made public and tabled before [Parliament’s rural development and land reform] portfolio committee in the interests of transparency and openness. South Africans deserve to know how the land reform programme is being abused for political purposes,” Walters said. This indicated that the African National Congress government’s land reform process was being abused and that land “is doled out to the politically connected few” and not those who would benefit greatly from access to land and the dignity this brings. “As it is, government is failing dismally to support emerging black farmers. Land reform is moving at a glacial pace and continues to miss targets for the distribution of land, essentially denying South Africans economic empowerment through ownership. “Basically, black farmers are being let down by an ANC-led government that would rather put friends first and South Africans last. The DA will not sit back and allow the government to dish out land to their cronies at the expense of the people,” Walters said.